In Tarrant County, the population of the western portion of Keller is poised to double to 40,000 people in the next ten years, with most of those residents being young families identifying themselves as having weak or no religious affiliation. This prime mission field will be served through a partnership between the Center for Evangelism and Church growth and Keller UMC to start a satellite campus to serve this growing area. This effort will focus on bringing the church to the people, creating a new space for growing communities to worship in their neighborhoods while multiplying the impact and vitality of Keller UMC, the mother church. 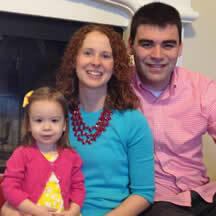 Daniel Hawkins has been appointed as the campus and new church plant pastor for that congregation.